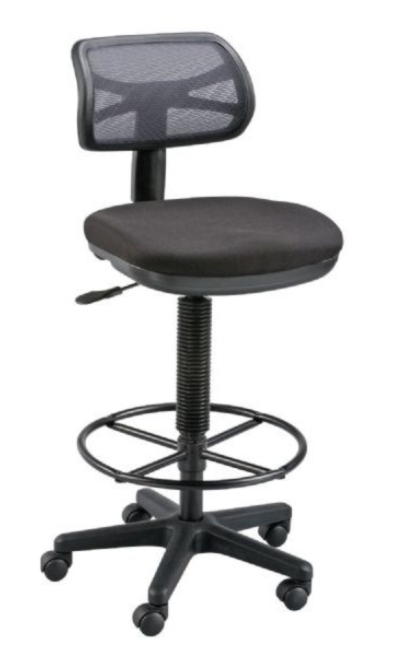 This mesh back chair sports a pneumatic height control with a huge range from 23" to 33". The backrest is also height and depth adjustable. The seat is amde from ergonomically-contoured molded foam that is 3" thick. Comfortable and airy nylon mesh back is 16"w x 8"h. Dual wheel casters.